Sulphur is often overlooked when it comes to grassland and especially silage, the focus so often being on Nitrogen, Phosphorus and Potassium. However Sulphur is present in all crops and plays an essential role in plant metabolism and the formation of plant protein amino acids and and enzymes. Until relatively recently, Sulphur deficiency wasn't seen as an issue. Depositions of atmospheric sulphur as sulphur dioxide from the burning of fossil fuels guaranteed a plentiful and free supply for UK farmers. But tightening legislation saw deposition greatly reduce, so much so that deposits have declined by 94% since 1970. 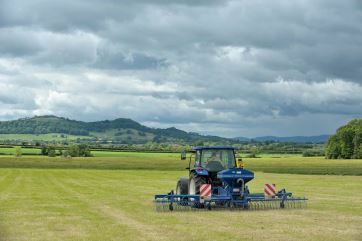 Government figures suggest that 6.8kg/ha of sulphur are now deposited annually on UK grassland and bearing in mind that an average silage crop requires 40kgSOᶟ/ha/cut, sulphur deficiency in grassland is a very real but not always apparent issue. When yield, quality and nutrient efficiencies are considered investment in sulphur for grassand and in particular silage crops will generate a significant return on investment. Recent studies suggest a typical response of up to 30% and as much as £20 return for every £1 spent on sulphur. Current reseeding rates of 2-3% per year are far from the required rate if livestock farms are to maximise returns from forage. Grass leys are replaced far less often than every 10 years. 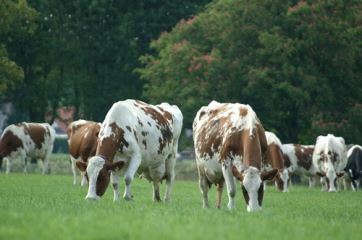 Early grazing maximises the proportion of grazed grass in the cow's diet and we know the nutritional quality of spring grass is superior and cheaper than alternatives.